SHELBURNE, NS – Boxing Rock Brewing has announced the return of a summer seasonal beer that has been given a recipe overhaul and wider distribution for this year’s edition. We’ve improved it, made it better, bolder, hoppier. Sessionista 2015 is what we like to call a “Fractional IPA”. It’s still bold, and malty, but it’s also beautifully aromatic and hoppy. The first thing that hits you is that great nose of floral hops. Think lemon blossom, orange, and tropical fruit. Then flavours of biscuit, roasty caramel and toasted bread on the palate backed up by a tropical fruity hop middle with just the right amount of bitterness and finishing with a piney citrusy blast. And at 4% ABV you’ll ask for another. 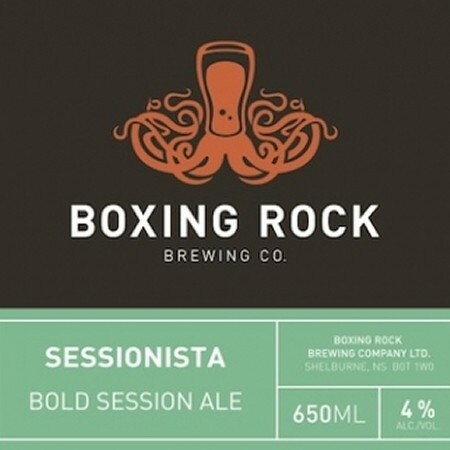 Boxing Rock Sessionista is available now in 650 ml bottles at select NSLC locations and the brewery store, and on tap at better beer bars in Nova Scotia.